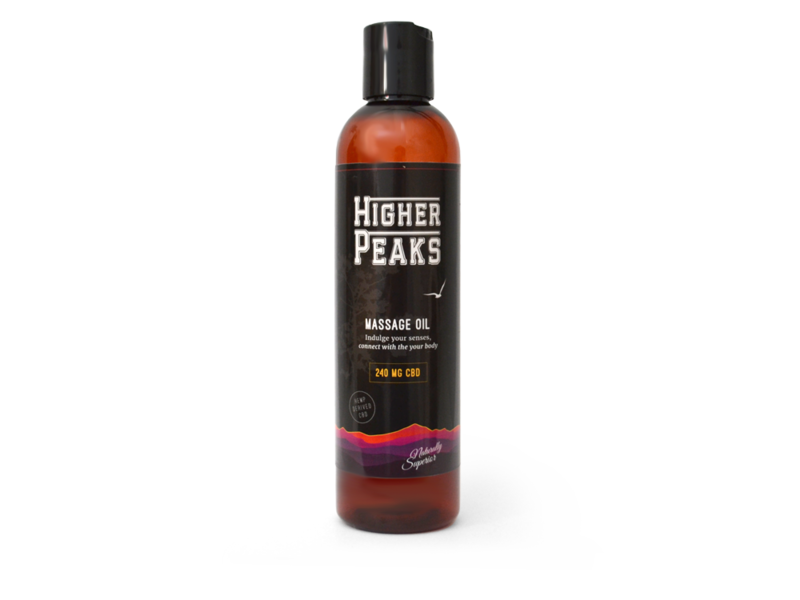 Higher Peaks Massage Oil is a great alternative to relieve the body of dry skin and provides a soothing affect at any of time of the day. 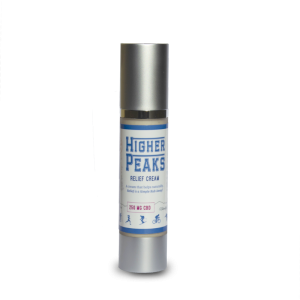 Higher Peaks CBD Relief Cream is a hemp based topical cream designed for pain relief. Relief Cream is naturally superior using the highest quality CBD. 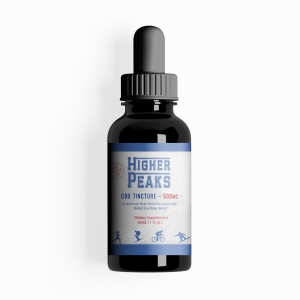 At Higher Peaks we only use the highest quality CBD products, hand-crafted in small batches to provide you all the best benefits that CBD has to offer. Whether it is our pain cream relieving some inflammation or our facial serum defending against premature aging. Our promise is to always MAKE YOUR DAY BETTER! Higher Peaks Products, LLC sells, distributes and/or manufactures only products that are compliant with the United States Controlled Substances Act (US.CSA). Our products meet all the legal requirements contained within Section 7606 of the Agricultural Act of 2014 (“Farm Bill”). All of our Products are 100% THC Free. 20% off on orders of $100 or more. Use coupon code: 20off.